Toronto Therapist: Jaime Saibil - Therapist M5S 1T6. 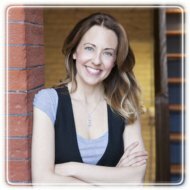 My name is Jaime Saibil, and I am a Toronto-based registered psychotherapist and cognitive-behavioural therapist, with nearly a decade of experience providing counselling in the healthcare industry. I hold a Master's Degree in Counselling & Organizational Psychology, and began working in the mental health field in 2002. As a therapist, I provide a space in which you can comfortably address your challenges with an experienced and caring counsellor. My approach includes empathic listening, unconditional support, interactive engagement, and respectful challenge. Together, we will explore the emotional, cognitive, physical, and spiritual factors impacting your life. I continue to work in private practice, treating individuals and couples in the following areas: stress, anxiety, depression, weight management, couples counselling, alcohol and substance abuse, eating disorders, anger, adolescence, and coaching. I am on the Board of Directors for The Ontario Society for Psychotherapists (OSP), a Fellow of The Cell, a health strategy group at Massey College, and a published author in the Individual Journal of Psychology.